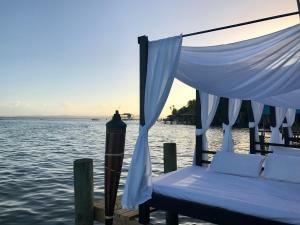 ﻿ Best Price on Hostal Bocas Tropical Paradise in Bocas del Toro + Reviews! 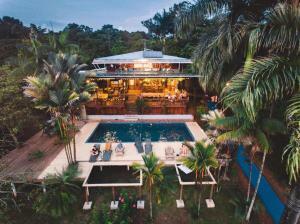 Hostal Bocas Tropical Paradise is located in Bocas del Toro, just 2625 feet from the Town. It offers an on-site tour desk and free Wi-Fi. 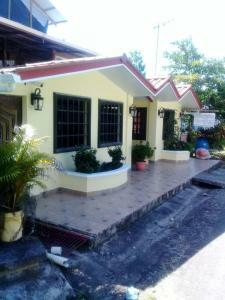 Each spacious, air-conditioned room at this guest house features tiled floors and comes with a cable TV and small closet. The deluxe room has a kitchenette with a fridge and electric hob. 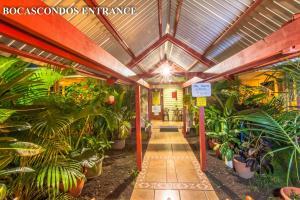 Restaurants and bars are just a short 5-minute walk from the property, and guests will find a small supermarket located just next door. The tour desk can help arrange outings to local sights, with the popular Red Frog Beach located just 3.1 mi away and reachable by boat. Bocas del Toro International Airport can be reached in a 5-minute walk. - A deposit of the 50% of the booking via Western Union is required to secure your reservation (see Hotel Policies). The property will contact you with instructions after booking. Please note that the deposit is not refundable. - A cleaning service will be provided every 2 days after check in. - Please note that the Receptionist works from 3:30 pm onward. However, if you wish to check-in before 3:30 pm, you should contact the property one day prior to your arrival and confirm via e-mail the same day of your arrival. Payment before arrival by bank transfer is required. The property will contact you after you book to provide instructions. 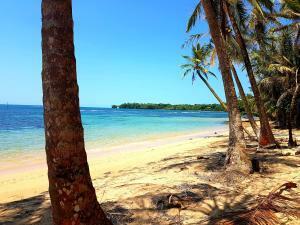 Please inform Hostal Bocas Tropical Paradise of your expected arrival time in advance. You can use the Special Requests box when booking, or contact the property directly using the contact details in your confirmation.